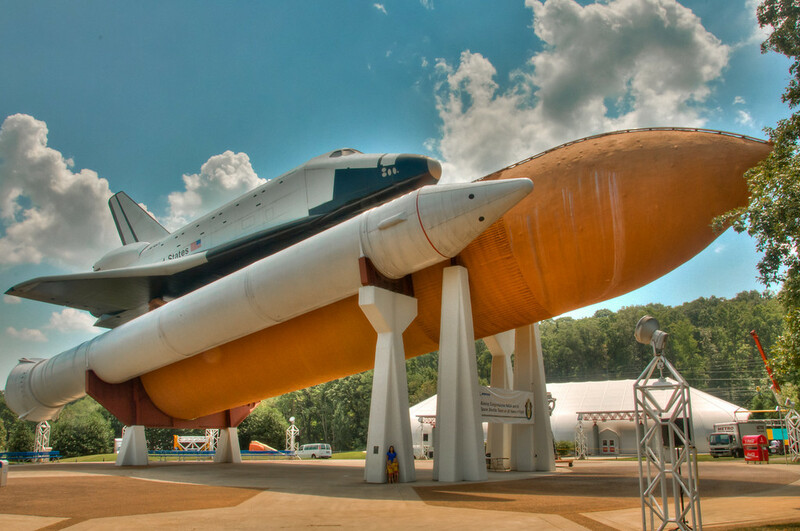 Shuttle Park (US Space and Rocket Center) | Just Shooting Memories! I had the good fortune to spend some time at the Udvar-Hazy building of the Smithsonian Air and Space museum last year. One of my favorite exhibits there was the space shuttle Enterprise. I was amazed at how small the space shuttle was when I got right beside it. I must admit I felt the exact opposite when I got to shuttle park at the US Space and Rocket Center. The only explanation I have is that the one in Alabama is attached to the external fuel tank and solid rocket boosters. If you look close at the front pillar holding the shuttle, you can see my wife and children for size. Too cool. I’m glad you pointed your family out. Their dwarfed by its size and I almost missed them.